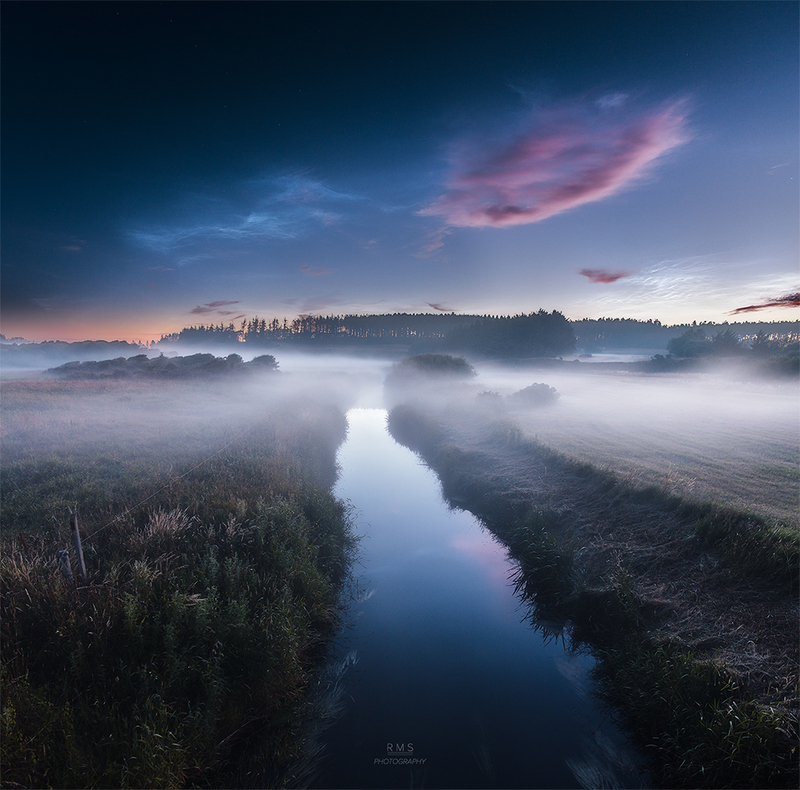 Near a summer’s midnight a mist haunts the river bank in this dreamlike skyscape taken on July 3rd from northern Denmark. Reddened light from the Sun a little below the horizon gives an eerie tint to low hanging clouds. Formed near the edge of space, the silvery apparitions above them are noctilucent or night shining clouds. The icy condensations on meteoric dust or volcanic ash are still in full sunlight at the extreme altitudes of the mesophere. Usually seen at high latitudes in summer months, wide spread displays of the noctilucent clouds are now being reported. Posted on Saturday, 7 July 2018 by VGC	This entry was posted in ifttt-photograph and tagged IFTTT, NASA. Bookmark the permalink.